In relation to the COMBLE project where my colleague Heilyn Camacho and I designed and implemented a course on Problem Based Blended Learning using Moodle and SL, other project partners have been working on developing a wiki that focuses on teaching and learning methods and approaches: Methopedia. 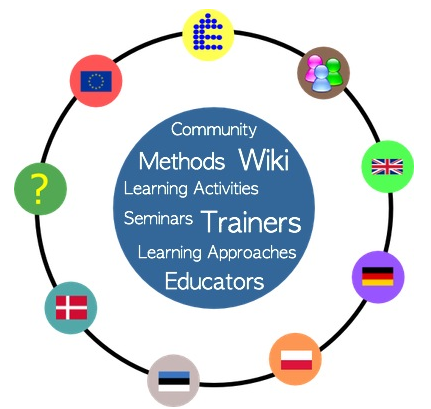 As part of the wiki community concept anyone can add and share content concerning teaching and learning activities, methods, approaches and designs. Complementary to the wiki our partners from University of Applied Science Wildau have developed a flash tool for designing different kinds of teaching and learning events – the Learning Designer. The main idea is that the Designer tool can import whatever is put into Methopedia and then the user can create visual overviews of events spanning from short activities to seminars and courses. The partners have also written a paper on the work with Methopedia which was recently presented at the 8th European Conference on e-Learning (ECEL).